We break the mold with this episode. Not only do we share an entire episode of Season 4 of the Brinkman Adventures, but we also share some behind the scenes info on "The Cross Maker", an update on the Jonathan Park series, address feedback from Sarah Grace and Elisabeth, and a whole bunch of other audio drama goodness! This is a very different episode, but we hope you enjoy it. AIO #61 is now available for preorder. Heirloom Audio has announced the title of their next Henty drama, "Beric the Briton". The Official AIO Podcast interviewed composer, Jared DePasquale, and Dale Inghram, the voice of Wellington Bassett. Elisabeth mentioned "Sir Knight of the Splendid Way". Sarah Grace shared her thoughts on "Frozen Fire". 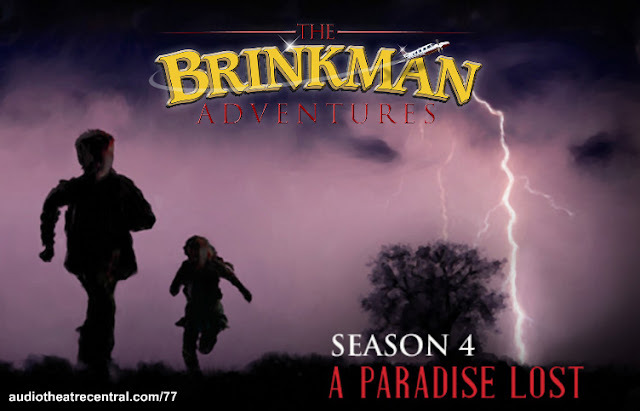 We share episode 37 of The Brinkman Adventures series, A Paradise Lost. This episode is the first from Season 4 of the series. You can order the full season of 12 episodes at brinkmanadventures.com. Would you find an AudioDramaDB helpful?